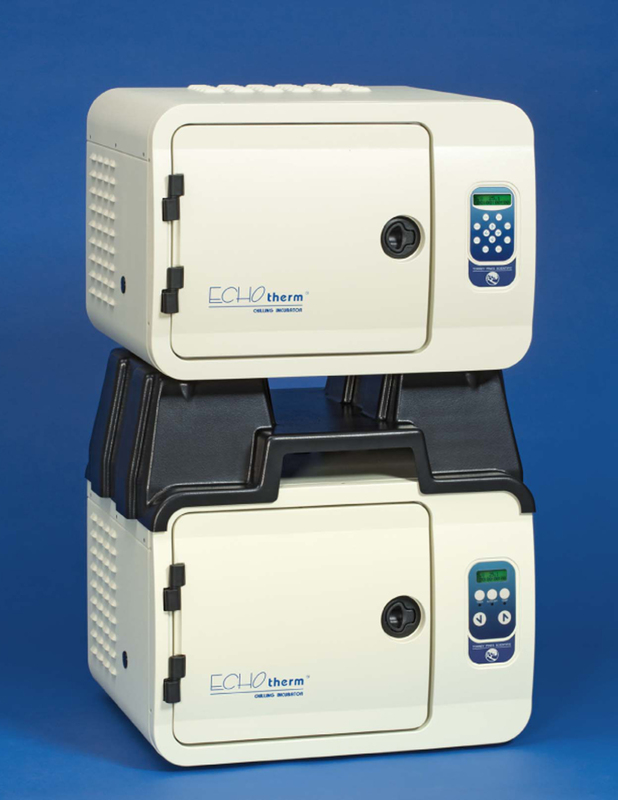 Torrey Pines Scientific has launched its new EchoTherm stackable/programmable, vibration-free chilling incubators for protein crystallography and other life science uses. The incubators are 27 litre capacity and Peltier-based for heating and chilling. They have no compressors or CFCs and are vibration-free, making them ideal for doing protein crystallisations. Other applications include incubating marine samples below room temperature, enzyme reactions and deactivations, hybridisations, ligations, storing oocytes, and general lab incubations. Three units may be stacked using two stacker accessories Model IN30-300. The IN35 is a fully programmable unit that can store three programs in memory and features precise temperature ramping both up and down. Temperatures are settable from 4.0ºC to 70.0ºC controllable to ± 0.1°C, and accuracy to ± 0.2ºC. They have RS232 I/O port for remote control and data collection, digital timer in hours, minutes and seconds with user settable Auto-Off, and audible alarms. Chamber size is 12" high by 10" deep by 14" wide and comes with two stainless steel racks with room for four. The units are shipped with universal power supplies for use anywhere in the world off local line voltages, AC line cord for the country of use, user manual and full 12-month warranty. They are UL, CSA, and CE compliant.